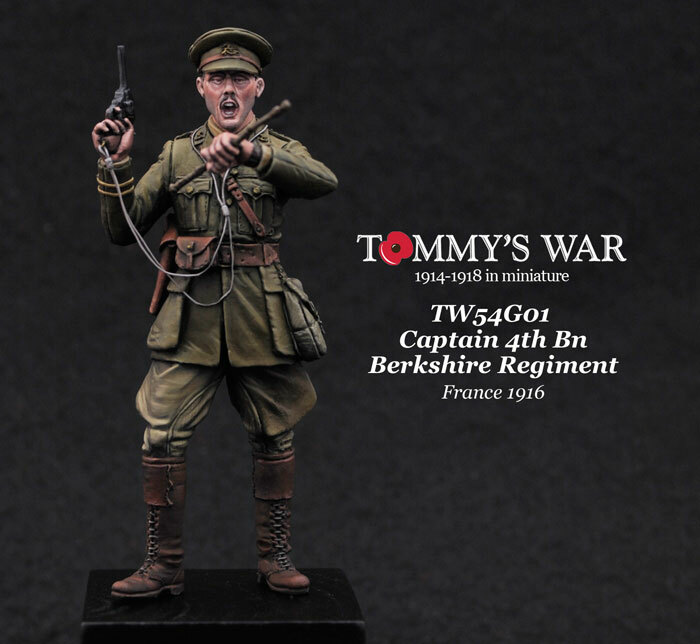 We’re delighted to introduce another new sculptor to the Tommy’s War ‘family’ in the name of Gianpierro Russo. 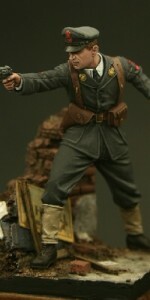 For those of you not familiar with his work, Gianpierro lives in Italy and has sculpted for some of the leading figure companies in Europe. 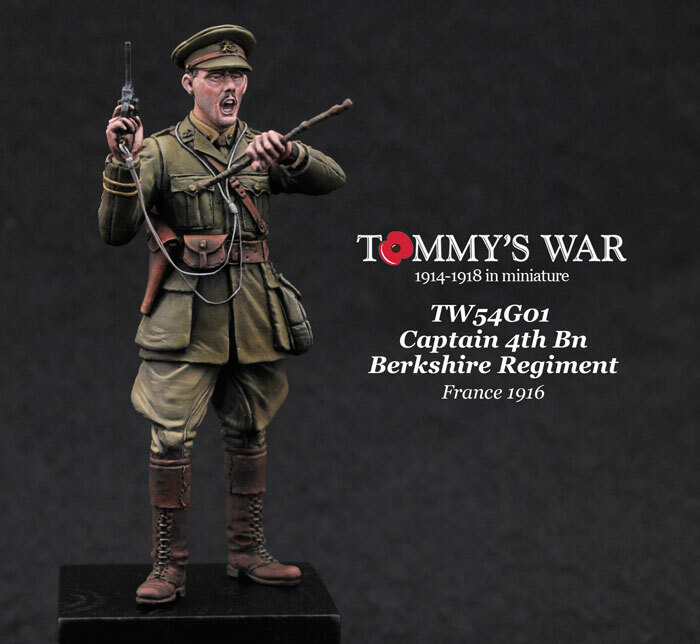 We’re thrilled to be able to show his first Tommy’s War sculpt and it certainly won’t be the last. 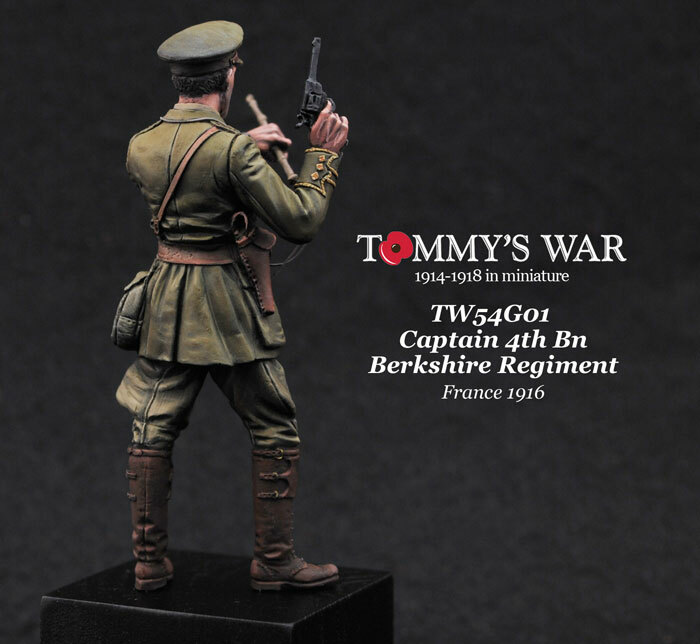 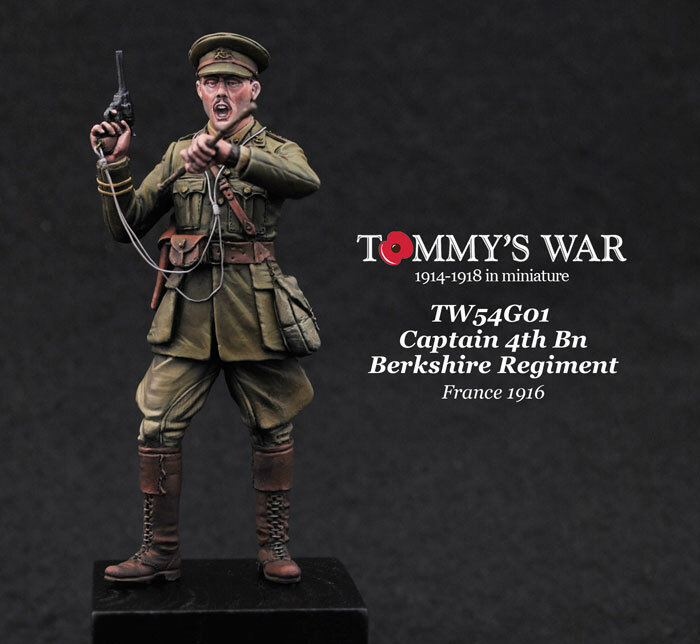 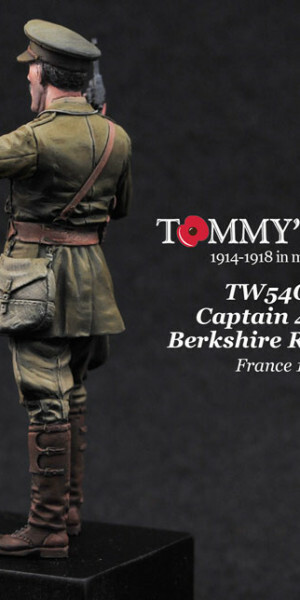 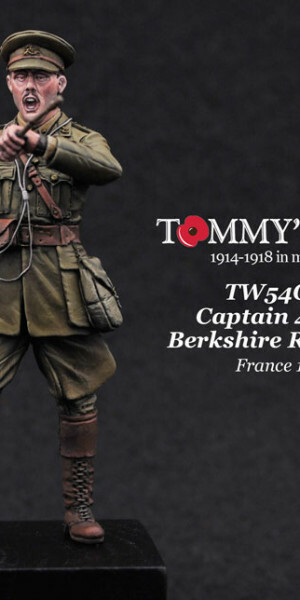 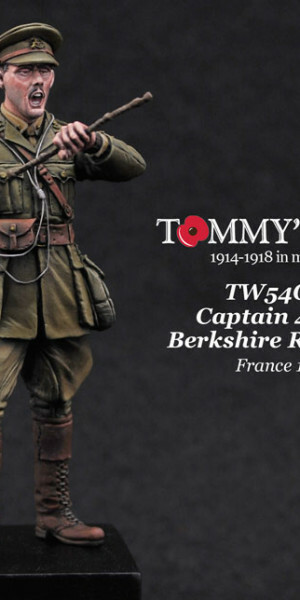 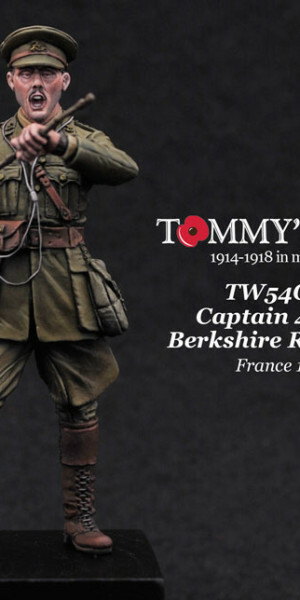 This figure features a Captain of the 4th Bn Berkshire Regiment. 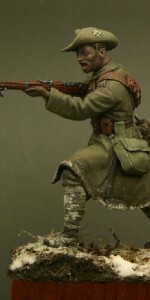 This was a territorial Battalion of a regular army regiment which entered France in 1915 and served with distinction through the war on the Western Front an in Italy. 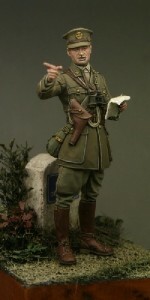 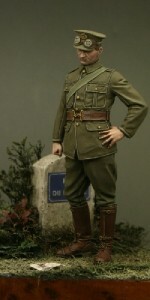 The figure is sculpted wearing a Sam Browne belt and privately purchased haversack, he is shown wearing 1915 pattern Field Service Boots that were popular with officers during the first part of the war. 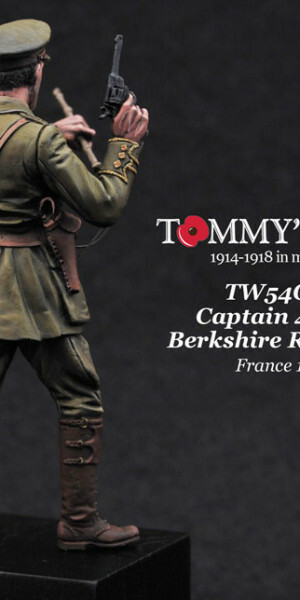 I am grateful to the Military Mode Publishing books Campaign 1914 and Campaign 1915 for the references. 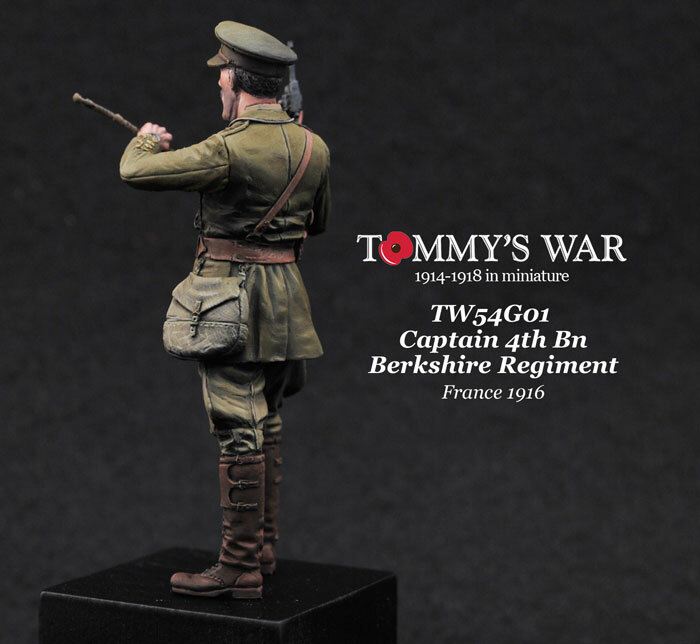 Box art is by Alex Long and I look forward to working with Alex on the future on more figures for Tommy’s War.